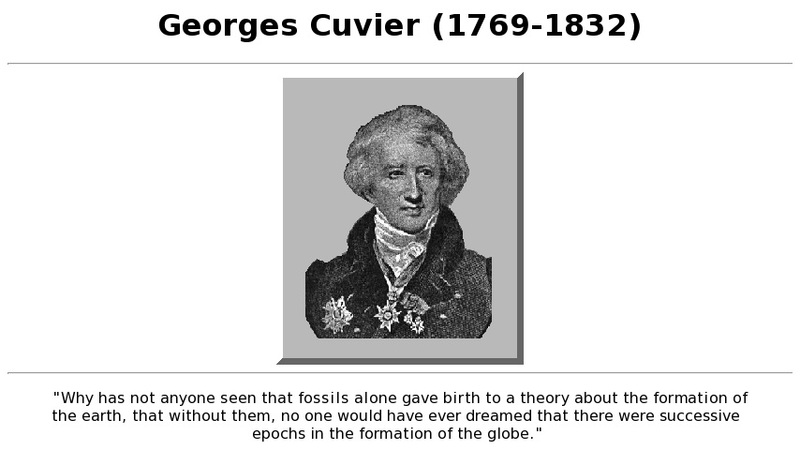 Georges Cuvier is said to have possessed one of the finest minds in history. He founded vertebrate paleontology as a scientific discipline, created the comparative method of organismal biology, and firmly established the fact of the extinction of past lifeforms. He contributed an immense amount of research in vertebrate and invertebrate zoology and paleontology, and also wrote and lectured on the history of science. This site covers some of his background and accomplishments but is mostly devoted to his methods and thought processes. His idea of periodic revolutions is very much like our present day understanding of mass extinctions.